In Oregon, injury reports from public high schools analyzed by Investigations Northwest and Pamplin Media Group mirrored that trend, showing soccer concussions were second to those from football between 2015 and 2017. What's more, at the schools that included the gender of injured athletes, there were nearly twice as many reports of possible concussions for girls playing soccer than boys in the sport. 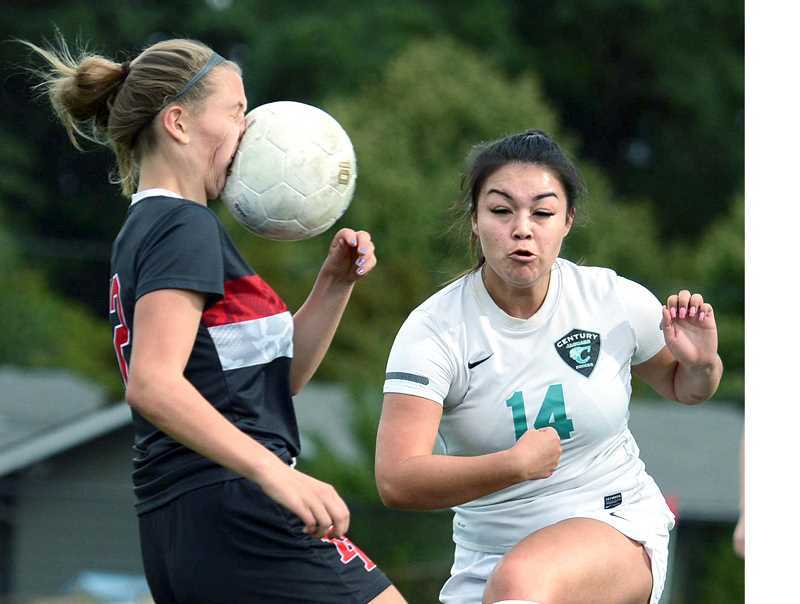 But if you compare girls soccer with football, and only look at the high school participation and injury data, "you're missing a gigantic part of the picture," according to Michael Koester, a doctor of sports medicine at the Slocum Center in Eugene. He directs its sports concussion program and serves as the chairnman of the Sports Medicine Advisory Committee for the National Federation of State High School Associations. Girls, however, play 15 to 20 soccer games in a high school season. Then, after the season ends, they may play another 80-plus games throughout the winter, spring and summer with club teams, said Koester, who, like Chesnutt, is a medical adviser to the Oregon Schools Activities Association (OSAA). "If we're looking at injury risk by athletic exposure," which is one practice or game, a standard in evaluating risk, female soccer players probably are playing five if not 10 times more practices and games than football players, Koester said. And he doesn't see the trend ending. As athletes develop, they take bigger hits at higher speeds and competitive games build on their momentum. As competition grows in girls' soccer, the sport is becoming more aggressive, she said. Header balls, although often singled out as a major cause of concussions, are not necessarily the main culprit. USA Soccer officially addressed headers three years ago, banning the practice for children ages 10 and under. Whenever a header is played at that level, the referee stops play and awards a free kick to the opposing team. USA Soccer also mandated that for players ages 11 to 13, no more than 30 minutes per week in training may be devoted to headers. "We want to be looking out for the girls' safety and well-being," he said. "If that means less heading, then so be it. They are people first."